Baduy, a traditional village where I had never heard of until…..
Back in March 2017, I felt the need to travel an easy day trek out of the city. Then, I asked Lulu (my university friend) where should I go for day trek on the weekend. As an immediate result, he recommended me to go to Baduy. More info about Baduy. Lulu had visited Baduy back in 2016, so I asked Evan whether he wanted to go or not. He agreed immediately. 3 days later, we were driving my car for this journey. Destination: Ciboleger Terminal in Banten. The journey took us around 4 hours from South Jakarta. Although, we stopped along the way to eat Nasi Padang as our energy fuel. Beware Alfa Mart, Asfa Mart is here! The minute we had hopped out of the car, people started offer us ‘guide service’. It’s a bit tricky, but since Lulu had known this area he asked us to prepare up to Rp 50.000 before trekking. From my own experience, it was quite easy to negotiate, as long as you don’t overly dressed for trekking occassion. 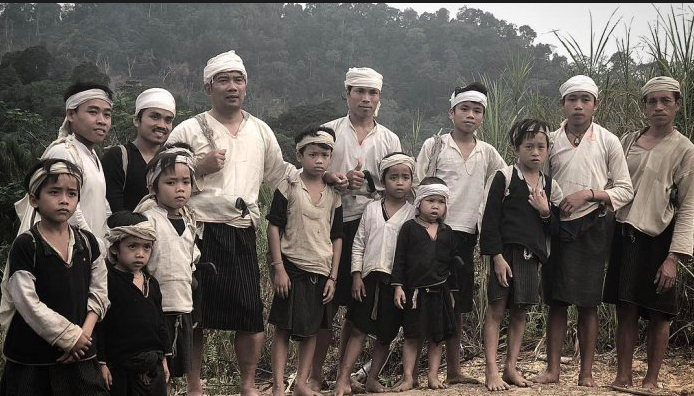 In essence there are two tribes in Baduy. First one is Inner Baduy that usually wear white attire. Second one is Outer Baduy. The main difference between these two tribes is that Outer Baduy are more open to change for technology, globalization, etc etc. While Inner Baduy tribe is more resistant to change. One simple example is that people in Outer Baduy already use electricty, while Inner Baduy still use candle as lighting source. After several discussions, we decided to go with Kang Juli, a native of Inner Baduy. Bear in mind, they walk very long distance at daily basis without footwear. Normally, they cover 30-50 kilometers per day. So, when we were following him, it was quite a challenge for us. Our initial plan was to trek to Cibeo and stay there overnight. Yet, when we were trekking, Kawalu was also took place. 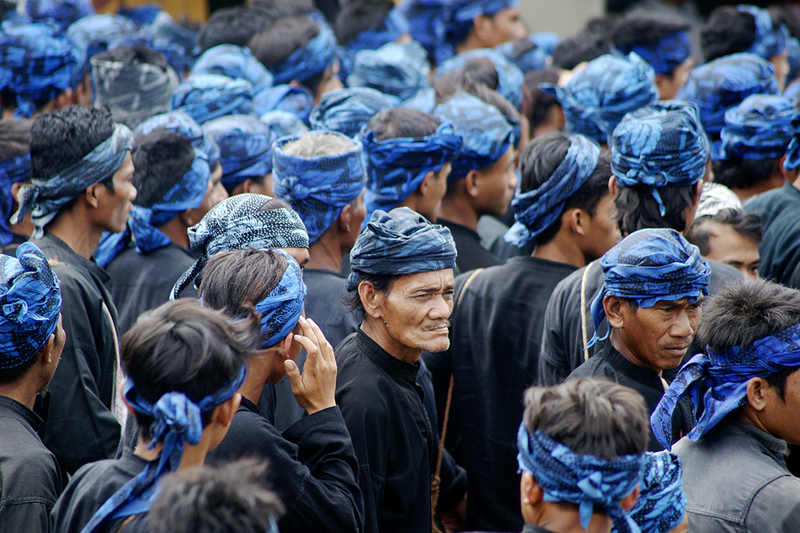 This sacred traditional ceremony prohibits tourists to enter Inner Baduy. So, we decided to trek to Cipaler Village in Outer Baduy. One of the most popular spot when we trekked was Gazebo Village. Here, tourists were able to stay overnight with Outer Baduy. The cool ninja lookalike village from far. Cipaler village precisely situated on top of the mountain within the forest. We had arrived at Cipaler Village around 4PM then we slept. We woke up 1 to 2 hours later and dined with Kang Juli’s relatives. One of the tips to stay with the locals is to bring your own food and they (house owners) will cook for you. In our case, we brought rice, shrimp, corned beef, sardines, and meat floss. Kang Juli: I have friends in Jakarta. I visited regularly in the past. They are mostly resides in Kelapa Gading, Rawamangun, Pondok Labu, Kebon Jeruk, etc. Lulu: Are you using any bus from here? Kang Juli: No, I usually walked from here to Jakarta. It took me 4 days for one-way walk. After dinner, we trekked down to Ciboleger Bus Station right away. It was my first time experience trekking in the dark. We did not meet any other trekkers on our way down. It was a quite, peaceful, and sweaty trek. We had arrived at Ciboleger Bus Station at 9PM, then we took showers and went straight to Jakarta.